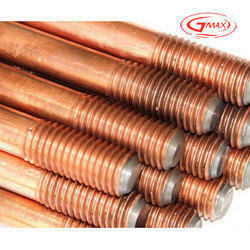 Leading Manufacturer of copper earthing electrode for petrochemical industry from New Delhi. Esteemed as a dependable producer and supplier, we are occupied with offering the premium nature of Copper Earthing Electrode for Petrochemical Industry to our significant clients. These earthing terminals are utilized for viable establishing purposes. Our extensive generation limit and spacious warehousing units has helped us in indulging the mass requests in the most effective way. Looking for Copper Earthing Electrode for Petrochemical Industry ?